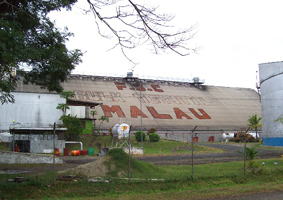 Port of Malau is situated on the North Western side of Fiji’s second largest island, Vanua Levu and primarily a molasses Port facility with deep water anchorage and berthing. The Port caters for bulk vessels that berth at Malau X times a year and caters for the Vanua Levu sugar cane farmers. The facility is a privately owned facility by Fiji Sugar Corporation but under the jurisdiction of FPCL under its Seaports Management Act. Tankers: Discharge lines 8 in. diameter. Depths alongside 42ft. No residue discharge facility. Tug Boat: Available by South Sea Towage Limited, must be arranged from Suva prior to arrival.